Todays spectacular Asian wedding was at Samujana. Organising today’s proceedings; Jacqui and her team at Samui Weddings and Events. The near 200 strong guests predominantly hailed from Hong Kong. A few clouds appeared in the sky and looked threatening at the time of the ceremony but after just a short downpour, everything was dry and ready to go. 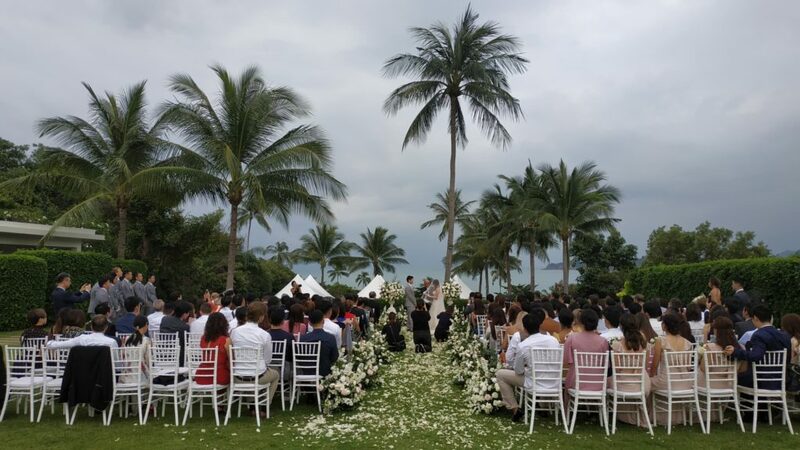 Kaki and Max sealed their vows in front of their closest family and friends from all around the world, to much rapturous applause. 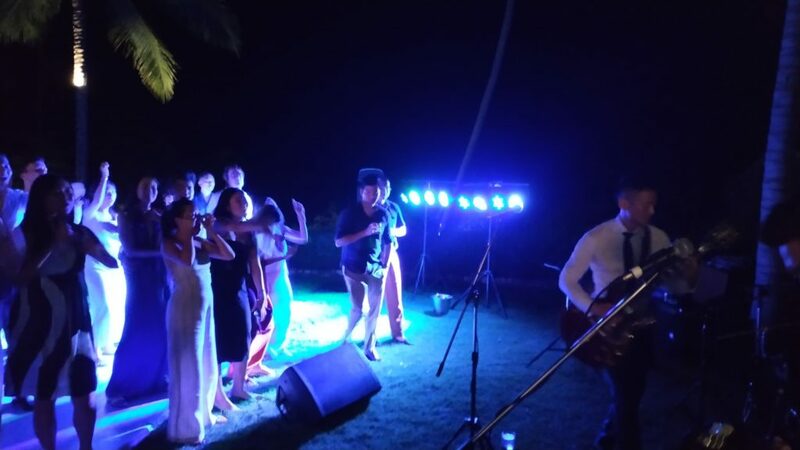 Koh Samui Events provide multiple services on the day. The sound system and microphones for the ceremony. 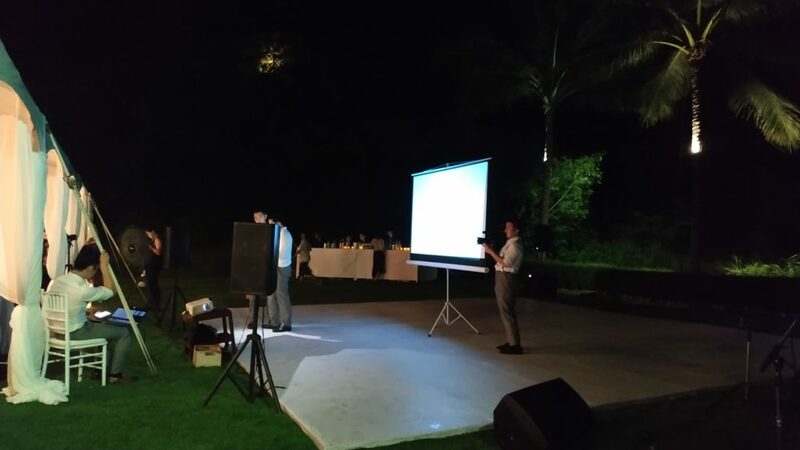 A projector and screen for the slideshows and performances during dinner. Lighting for the dancefloor for the couple’s first dance and the band. Later, a full sound system was set up in Villa 12 for the after party. A DJ from Bangkok flew in to keep the celebrations going until the early hours of the morning. This entry was posted in Events / News and tagged American, Asian Wedding, British, Chinese wedding, Hong Kong, Large Wedding, Samui Weddings and Events, samujana, Sound Hire. Bookmark the permalink.